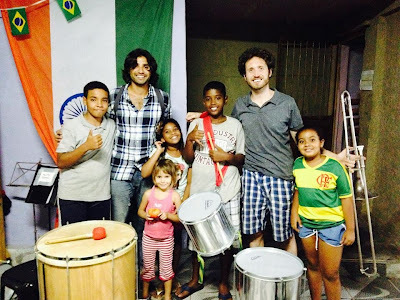 The Favela Brass Project: Thank you Brendan Doshi and Lucas Allen! Last week two of our volunteer teachers, Brendan Doshi and Lucas Allen left us to return to the USA. Brendan (first from left above), a professional Piano player from Chicago, was in Rio studying Brazilian music on a Fulbright Scholarship. Lucas Allen (below) was studying at Rio's PUC (Pontifical Catholic University) as part of his degree in International Relations at Boston College. Both played trumpet in high school and hence could help out with teaching keyboard-based instruments such as glockenspiel and melodica, and also with the brass instruments. 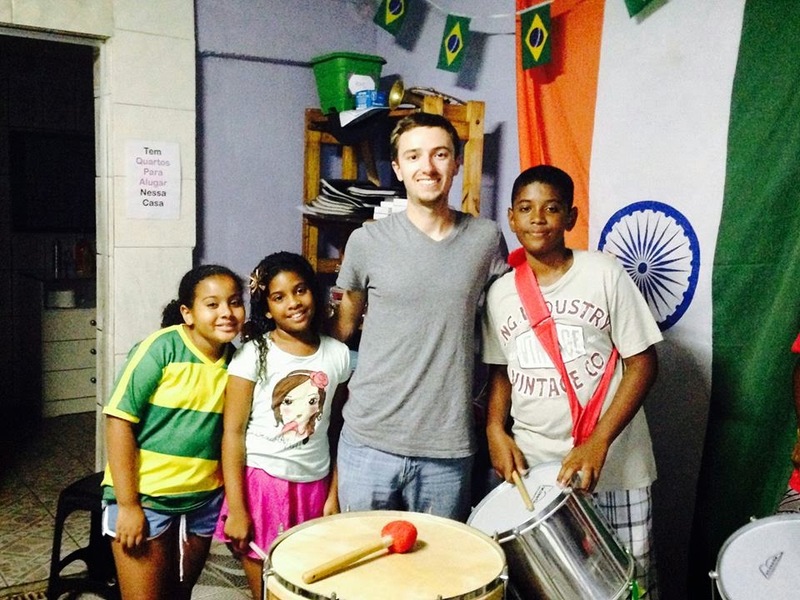 In addition to helping out giving lessons week in and week out the guys also supported me at my gigs in and around Rio and Brendan was, without doubt, the Curry Clube's #1 patron in the 5 months that he was at the project! We also had some great nights out after Friday's lessons - at the Pedra do Sal samba party and at the Maze jazz club in the Tavares Bastos favela, where Brendan regularly sat in on piano. It's been a great pleasure getting to know Lucas and Brendan over the last few months. 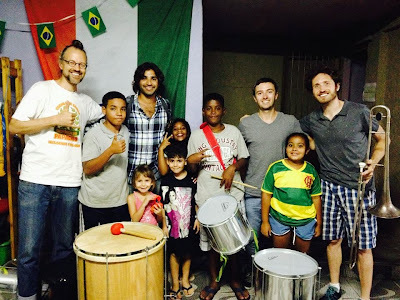 Favela Brass is still in its early days, but this was a exchange that definitely worked well - not only were Brendan and Lucas of great help during the lessons, but they also embraced the opportunity to learn about Brazilian music and rhythms during our percussion workshops. Thank you Lucas and Brendan - have a great Christmas and come back to Brazil SOON!